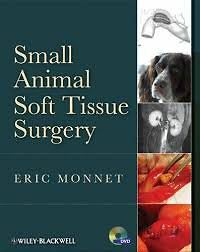 Small Animal Soft Tissue Surgery is a comprehensive, in-depth resource for well-referenced, current information on small animal soft tissue surgery. Offering detailed surgical techniques in a well-illustrated, easy-to-follow format, the book covers the full range of surgically treated diseases and syndromes, with video clips and slideshows to demonstrate surgical procedures on an accompanying DVD. Chapters are written by the leading experts in surgery, internal medicine, radiology, and critical care, presenting information based on a review of the most recent literature. Divided into chapters by body system, each section begins with a brief review of the anatomy and physiology, with pathophysiology, diagnosis, treatment, and prognosis described in detail. Original illustrations and clinical photographs accompany the description of surgical techniques, and an evidence-based approach is incorporated throughout. 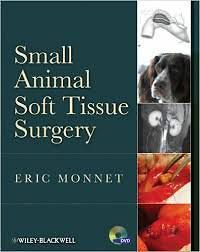 Small Animal Soft Tissue Surgery is an essential reference for small animal surgeons, residents, and practitioners performing soft tissue surgery.